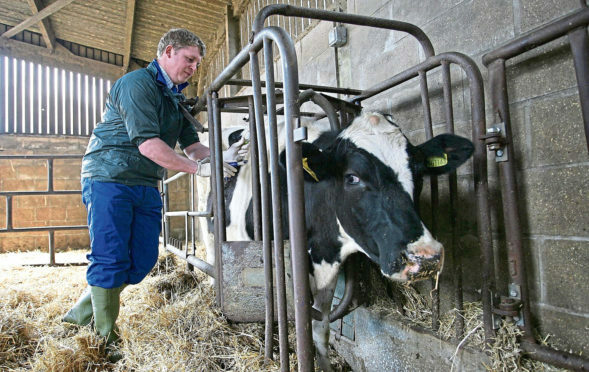 Scottish politicians and farm industry leaders have been urged to support an appeal to the Home Office for vets to be placed on the shortage occupation list to safeguard against a post-Brexit crisis of numbers. British Veterinary Association president John Fishwick told the association’s annual dinner at Holyrood that action was required to prevent acute shortages of vets in vital roles after research suggested one in five EU vets is actively looking for work outside of the UK. “There are over 2,200 vets working in Scotland, and of these 14% are non-UK EU graduates,” said Mr Fishwick. “Many of these are playing a crucial role in supporting Scotland’s agricultural industry as a cornerstone of the economy. “The impact of the loss of even a small percentage of the veterinary workforce could have serious repercussions, especially in slaughterhouses, where it’s estimated that 95% of vets delivering vital public health roles are from overseas, mostly the EU. Mr Fishwick praised Scotland’s animal welfare record, but said the BVA’s campaign for the practice of non-stun slaughter to end had not yet succeeded.